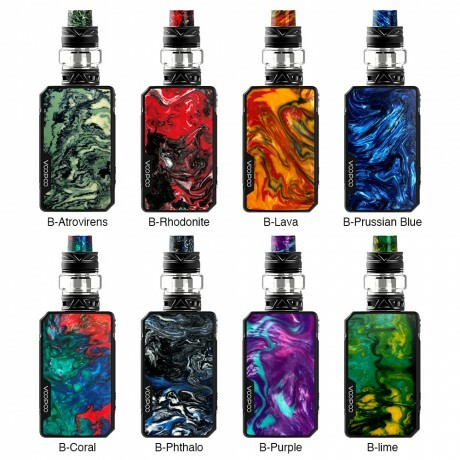 The mini version of the HOT VOOPOO Drag - Drag Mini, is coming. While retaining the attractive looking, Drag Mini is compact in structure, ergonomic in shaping. Powered by inbuilt 4400mAh battery, it supports the max output of 117W. It features the advanced GENE.FIT chip and innovative FIT mode for a safe and reliable vaping. The UFORCE T2 is an exquisite subohm tank with 2ml/5ml ejuice capacity. The convenient sliding type top filling design prevents any eliquid leakage. Besides, it’s compatible with all the original UFORCE coils plus the P2 and N2 Single Mesh coils, which brings you decent flavor and massive clouds. 8 stunning colors to choose.